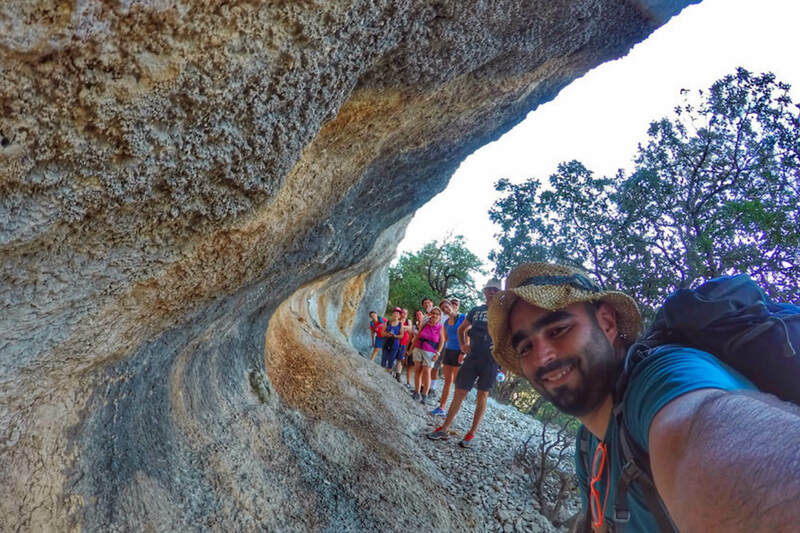 Join our hiking tour to the archeologic nuragic village of Tiscali, hidden in Dorgali’s Supramonte mountains that also feature the beautiful Lanaittu Valley and Su Gologone natural springs. 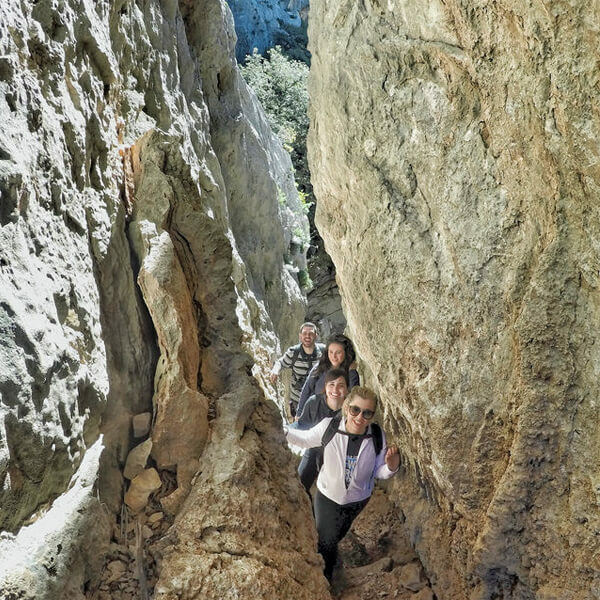 This excursion is undoubtedly one of the most interesting tours from both the naturalistic and the archaeological point of view, an immersive hike in the suggestive Sardinian scenery and history. We run this tour on request only, please check availabilities on our calendar, or contact us for tour info and booking. Tiscali is a small karstic relief in the heart of the Supramonte Dorgalese, on top of which a sinkhole (dolina) was formed, due to the collapse of the vault of an ancient cave. Inside the most protected corner of the sinkhole, a village was built in the nuragic era. The village has been inhabited with discontinuity until the first Roman frequentations of the island (3rd-4th century BC). The nuragic village built under the walls of the sinkhole remains hidden from sight until the visitor reaches its interior. 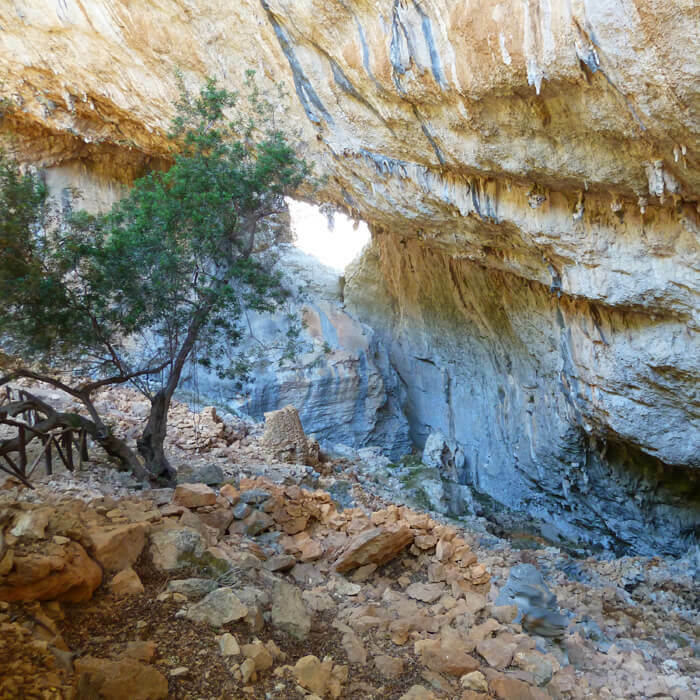 The microclimate, the atmosphere of the cave and the beautiful limestone colours, make this place unique and unforgettable. 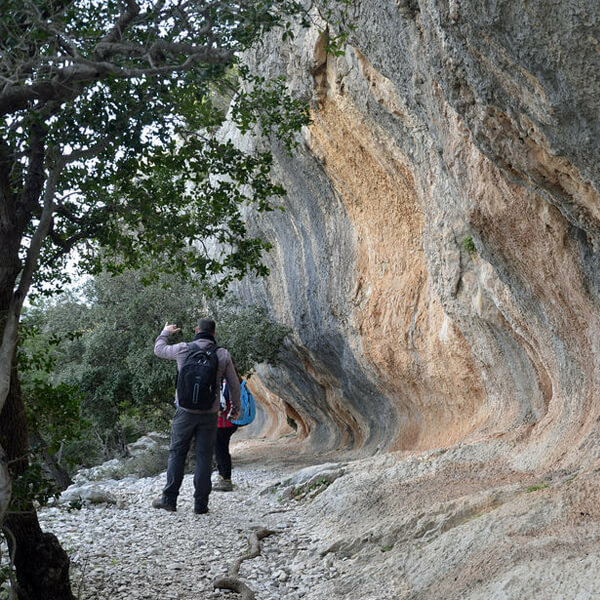 Our tour will reach the historic site of Su Gologone in Oliena, where we will cross the Lanaittu Valley until we reach Mount Tiscali, the starting point of our actual trek. We will continue on foot for about 1 hour and 30 minutes, walking alongside a slightly uphill scenic path, until we will reach the archaeological nuragic site of Tiscali. We will have plenty of time to visit the vast nuragic settlement, and our stop will include a lunch break at the Tiscali site, before hiking the trail back to the parking. Tour duration: 8h (8.30AM to 4.30PM). Suggestions for this tour: Wear good trekking shoes (no open shoes, sandals or flip-flops), comfortable clothes and sun protection. Bring at least 2 lts. drinking water per person. 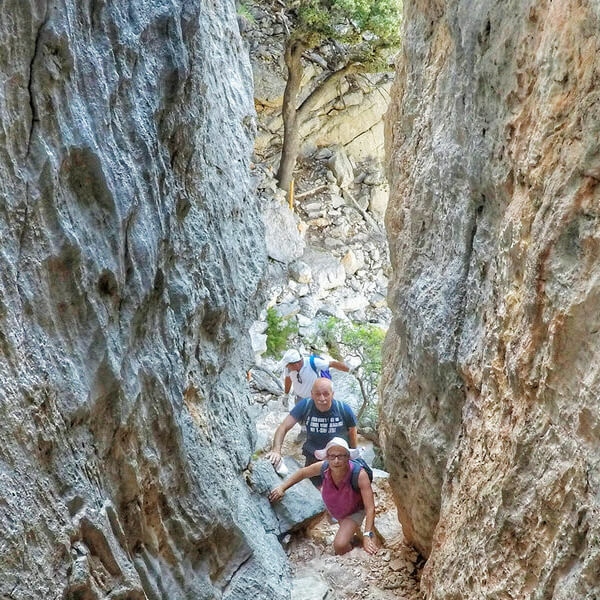 We loved hiking Tiscali and the Lainattu Valley with Ferruccio and Giovanna! 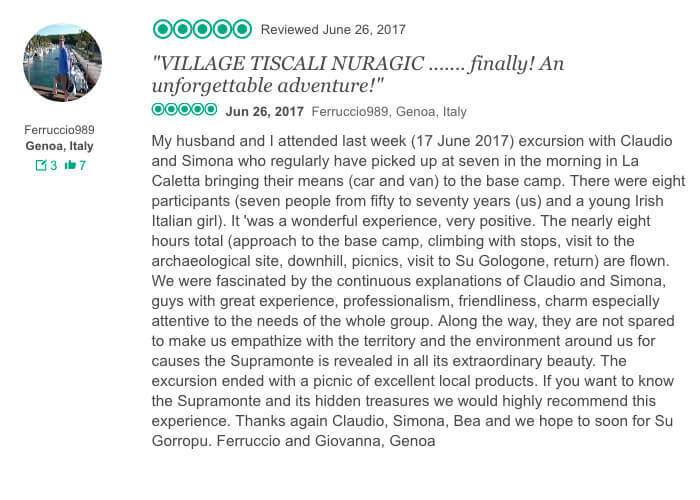 Read what they say on their great review on Tripadvisor about their Sardinian Slow Experience with our Gallura and Costa Smeralda Tour.